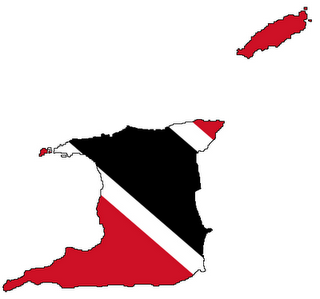 Can T&T cope with Ebola if it hits our shores? Lets hear from a doctor and Ebola survivor. Dr. Kent Brantly, a U.S. medical missionary who contracted Ebola in July while working as a doctor in Liberia and survived the deadly disease after treatment at Emory University Hospital in Atlanta, appeared at a joint Senate hearing today examining the Ebola outbreak. In testimony prepared for the hearing, Brantly described the challenges and difficulties of working in what was already a "woefully inadequate healthcare system of a country still struggling to recover from a brutal civil war." He "witnessed the horror that this disease visits upon its victims — the intense pain and humiliation of those who suffer with it, the irrational fear and superstition that pervades communities, and the violence and unrest that now threatens entire nations." When he fell ill on July 23, "I came to understand firsthand what my own patients had suffered," Brantly said. "I was isolated from my family and I was unsure if I would ever see them again. Even though I knew most of my caretakers, I could see nothing but their eyes through their protective goggles... I experienced the humiliation of losing control of my bodily functions and faced the horror of vomiting blood—a sign of the internal bleeding that could have eventually led to my death." Treating Ebola patients, he said, "is not like caring for other patients. It is grueling work. The personal protective equipment we wore ... becomes excruciatingly hot, with temperatures inside the suit reaching up to 115 degrees. It cannot be worn for more than an hour and a half." Brantly's hospital, the ELWA Hospital in Monrovia, was the capital's only Ebola treatment center when the disease broke out and was quickly overwhelmed. In the month and a half he was treating Ebola cases there, he told the panel, there was only one survivor. "The disease was spiraling out of control," he said, "and it was clear we were not equipped to fight it effectively on our own. We began to call for more international assistance, but our pleas seemed to fall on deaf ears." The laboratory his hospital relied on to confirm the presence of Ebola in patients "was 45 minutes away and inadequately staffed," he said. "A patient would arrive at our center in the afternoon and their blood specimen would not be collected until the following morning. We would receive results later that night at the earliest. Turnaround time to positively identify Ebola cases was anywhere from 12 to 36 hours after blood was drawn"—a potentially life-threatening delay. Patients languished in the isolation unit while waiting for diagnosis, potentially infecting others while they waited. Brantly criticized the World Health Organization's response to the Ebola outbreak as "painfully slow and ineffective ... It is imperative that the U.S. take the lead instead of relying on other agencies." The military, he said, is the "only force capable of mounting an immediate, large-scale offensive to defeat this virus before it lays waste to all of west Africa." Given the dearth of commercial flights into Ebola-affected countries, one of the most important things the military can do would be to establish an "'air bridge' for the delivery of critically needed personnel and supplies... we cannot turn the tide of this disease without regular flights of personnel and large cargo loads of equipment and supplies." Brantly also emphasized the need to "consider the role of home care as we seek to stop the transmission of Ebola," urging training and supplies for home caregivers, especially since "many infected people are choosing to suffer and die at home anyway. The least we can do is to try to give their caregivers the information and resources to protect themselves from this deadly virus." One of the most moving parts of his testimony was the story of a patient in Liberia named Francis. "Initially, the lab told us that he was positive for Ebola, but the written report we received said 'Negative,'" Brantly said. "Everything about his clinical case said that he was infected, so we made plans to retest him. We then received word that there was a typo on the first report and that his test was indeed positive. "Like most patients at first, he was fearful, but he eventually shared the story of how he contracted the disease. 'Doc, I remember who the man was,' he said. 'His condition worsened in his home, and his wife made the decision to take him to the hospital. Everyone around them fled, so I helped his wife carry him to the taxi.' On his way to the hospital that man died. Had someone come alongside Francis with training and some basic personal protective equipment, his family might still have their husband, father and son, and the world might still have this Good Samaritan." Brantly said that he was one of the luckiest ones, receiving "the best care possible in Liberia ... and world-class treatment" in the United States. But, he warned, the outbreak is "a fire straight from the pit of hell. We cannot fool ourselves into thinking that the vast moat of the Atlantic Ocean will keep the flames away from our shores." Re: Can T&T cope with Ebola if it hits our shores? We cyah cope wit Dengue so what you think? According to our Health Minister we are fully equipped. Would you doubt our most honourable and trusted Health Minister especially as he is part of a government that brags about performance? Health Minister Dr. Fuad Khan has assured that there are no reported cases of the Ebola Virus in Trinidad and Tobago. However, he said that T&T's health care system is fully prepared to deal with cases if they occur. The Ebola Virus is creating global concern, most recently in the North East Coast of the United States after reports of patients suspected of carrying the virus. The World Health Organisation recently released a video explaining how humans get infected. This, after an increasing number of confirmed cases in the West African nations of Liberia, Sierra Leone, Guinea and Nigeria. So far, there have been 1,603 cases and 887 deaths. According to the Mayo Clinic: "Ebola virus and the Marburg virus are related viruses that cause hemorrhagic fevers - illnesses marked by severe bleeding, organ failure and, in many cases, death. Both viruses are native to Africa, where sporadic outbreaks have occurred for decades." The Ebola virus lives in animal hosts such as African monkeys, chimps and other nonhuman primates. Humans can contract the viruses from infected animals after which it can spread from person to person through contact with body fluids or contaminated needles. There is no evidence that the Ebola virus can be spread via insect bites. Already, international airlines have already suspended flights to and from West African countries amid concerns over the outbreak. Doctors throughout the world have also been advised to be on alert for patients displaying early symptoms of the virus. Here at home, T&T's Chief Medical Officer, Dr. Clive Tilluckdharry, told C News that while the Caribbean is not facing a direct threat at this time, citizens need to be on guard. "Trinidad's risk is just as any other country, unaffected at the moment, meaning to say the only way to get it is via travel. Someone who picked it up in an endemic State or country. Right now, it's in West Africa and some within the Caribbean." Dr. Tilluckdharry urged citizens who are traveling, or who have come into contact with someone who was traveling, to seek medical help if symptoms start to develop. "Certainly with the initial states of having fevers, progressing with body aches, sore throat, diarrhea, vomiting and you becoming dehydrated. All of those are warning signs of a severe infection of some sort so they should seek medical attention." Although there is no approved medicine or vaccine specifically for Ebola, an experimental treatment has reportedly shown some signs of success in a US patient. T&T's Health Ministry is contemplating the idea of using the thermal camera for the early detection of the virus. What will happen this Carnival with the threat of Ebola? Don't we have an influx of visitors from around the world. This PPG is more concerned with PR and controlling the media than with running the country properly and doing the stuff that they promised. I call them the box-drain and con game government with very little vision other than for emptying the treasury and putting the country into debt despite all our oil and gas wealth which is being squandered. fact: we doing chik v tests at least 5 per day over the last couple weeks. Guess how many results i have seen come back for my patients. Two. Spoke to a friend at CARPHA who confirmed they doing the tests..dunno why we not getting the results. But also, many pple think they have chik v but it really is dengue. But they still eh believing you and saying they feel is chik v cuz their neighbour had it. If they have one confirmed case walk in POSGH I walking out that hospital first thing. We have no proper isolation rooms, so I eh playing that. It is a damn scary thing we nowhere near equipped for. Which gov't/country will openly say they are not prepared for such? Can you imagine the panic? But the general population outside of fanatical UNC supporters already realize that they are not prepared based upon their almost monthly track record of errors and major corruption scandals since being in power. And believe it or not the smarter ones are worried or panicing because we are not sure if we will have a peaceful elections to remove this curse of a government or worse than that an SoE might be called again to postpone the calling of Elections until things look more favourable for them in their power obsessed minds. You failed to answer my question? Which gov't/country will openly say they are not prepared for such? side note.. even the countries directly affected are not prepared or have a clue how to deal with it. At any rate the T&T public are fully aware that we can't cope with Ebola if it gets to T&T and that the Health Minister is on BS! They know that because Trinis are not stupid. We can't even control the spread of the Chikungunya virus right now which is now getting rampant in certain areas of T&T and the government are trying to under play it. EXACTLY! you don't have a clue how to answer me. The fact is even Canada, US, UK.. would struggle to deal with it. Not sure if you recall SARS a few years back.. we handled it, but thankfully it wasn't widespread or it would have been a different scenario. They tried their best to contain it.. thus making it easier to deal with. edit : "We" - Canada (Toronto). My wife was part of the team who worked directly with affected. Don't know why you picking an argument with me Jumbie. My point is that the T&T government is ill prepared for dealing with the Chikungunya virus so the Health Minister is kidding no one but himself that they are prepared to deal with Ebola. But you continue wasting your breathe if you choose and not seeing the point. Point is no one in T&T believes the Health Ministers BS statement. People in T&T are not as gullible as some of us perceive them to be. remember this " more concerned with PR and controlling the media" NOT about who is gullible or not. sorry you saw it as an argument, rather than a discussion. I'll drop it.. make it a great evening. True. But had his statement not come against the backdrop of a succession of lies and deliberately misleading utterances by the government then perhaps its utility may have been better appreciated. SANTO DOMINGO, Dominican Republic – The mosquito-borne Zika virus, also referred to as ZIKV, has now reached the Caribbean, with a 12-year-old girl in the Dominican Republic becoming the first person to contract the virus. The pre-teen has been hospitalised in a private clinic. This development comes a month after cases were reported in Brazil, prompting the Pan American Health Organization to issue a warning about its potential to spread to other countries. Caribbean countries subsequently put their residents on alert. The Zika virus is transmitted by the bite of an infected Aedes aegypti mosquito, the same mosquito that transmits Chikungunya and dengue. The virus is similar to dengue with symptoms that include fever, joint and muscle pain, conjunctivitis, headache, weakness, rash and swelling of the lower limbs. After the bite of an infected mosquito, symptoms usually appear following the incubation period of three to 12 days. They last for four to seven days. No deaths due to the Zika virus have been recorded worldwide to date. The Zika Virus was first isolated in 1947 in a Rhesus monkey in the Zika Forest, Uganda. It was first isolated in humans in 1952 in Uganda and Tanzania.